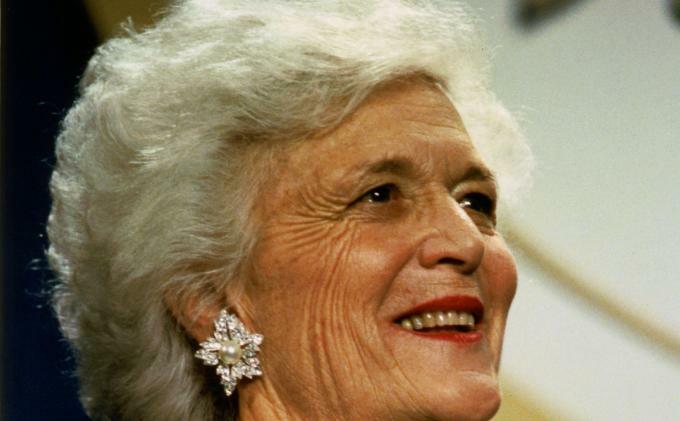 US political figures are praying for the healing of Barbara Bush, the wife of former President George HW Bush and the mother of former President George Walker Bush, who fell ill and refused further medical care help. Barbara has long struggled against chronic lung disease (COPD) and congestive heart failure (CHF), as reported by Reuters on Monday (16/4/2018). The former 41st US President George HW Bush's office confirmed Barbara refused to get additional medical treatment options from the hospital. "Those who know Barbara Bush will not be surprised to see how hard she is to face her illness, thanks to her faith, Barbara worries more than anyone else," she said. "He is surrounded by the family he loves, and appreciates all the prayers he receives," he added. A number of US politicians also delivered their prayers on Twitter. "Me and Karen (his wife) are praying for Barbara Bush and family tonight." "Prayers of the President and First Lady accompany the entire Bush family all along." "As always, Barbara Bush gives peace to her friends and family and teaches us all the way of life full of faith, love and humor, I pray that my comfort and love are always present for President Bush and their families." "Pray for a woman with great confidence, great strength, and unshakable love for this country (USA)." "Barbara Bush is a gracious First Lady who dedicated her life to improving education and promoting literacy Our family expects Barbara and the Bush family to be the best." "Barbara Bush is a blessed, humble, and loving woman and she and her family are in our prayers." Barbara Bush is the wife of 41st United States President, George HW Bush, who served from 1989 to 1993. Both married in 1945 and had 6 children, including 43rd US President George W Bush and former Florida Governor Jeb Bush. 0 Response to "US Politician's Prayer for Wife Former President, Barbara Bush"